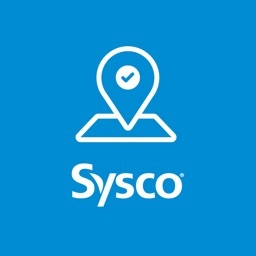 As the world’s largest foodservice marketer and distributor, Sysco’s vision is to be our customers’ most valued and trusted business partner. 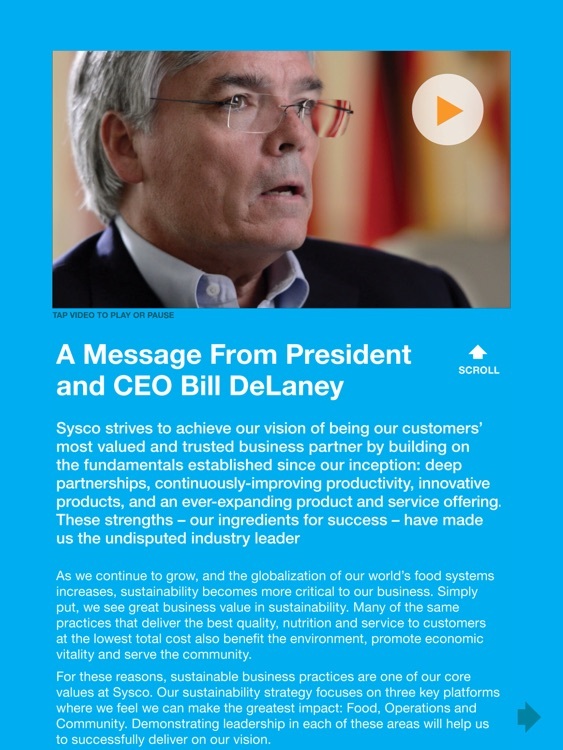 We believe that to accomplish this, we must have an unwavering commitment to conduct business responsibly and sustainably. 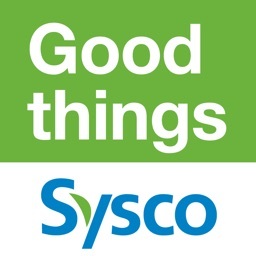 Many of the same practices that deliver the best quality, nutrition and service to customers at the lowest total cost also benefit the environment, promote economic fairness and serve society. 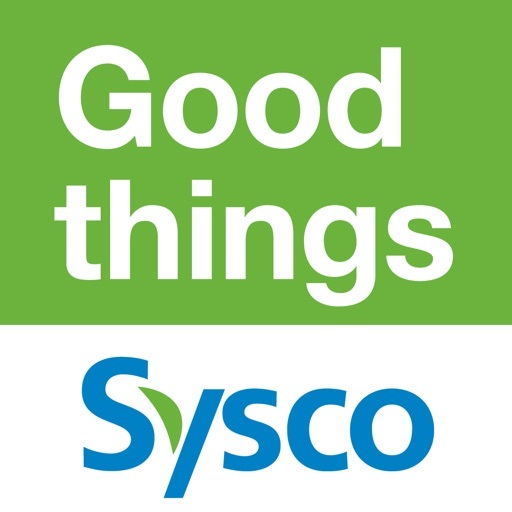 As our company continues to grow and the globalization of our world’s food systems increases, sustainability becomes more critical to Sysco’s business. 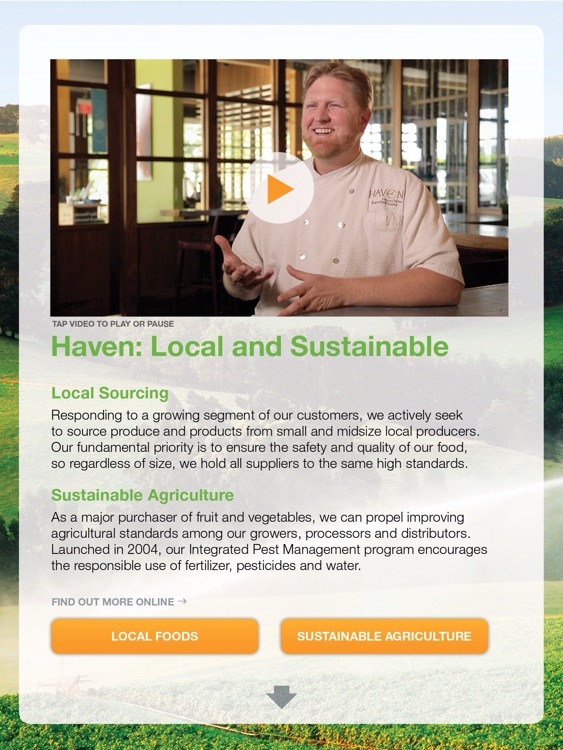 Our sustainability efforts are focused in three key areas where we are able to have the greatest impact: food, operations and community. 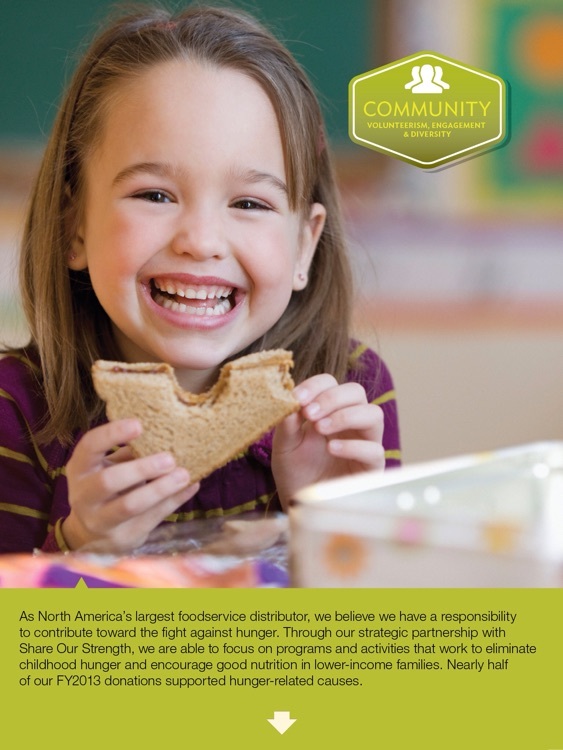 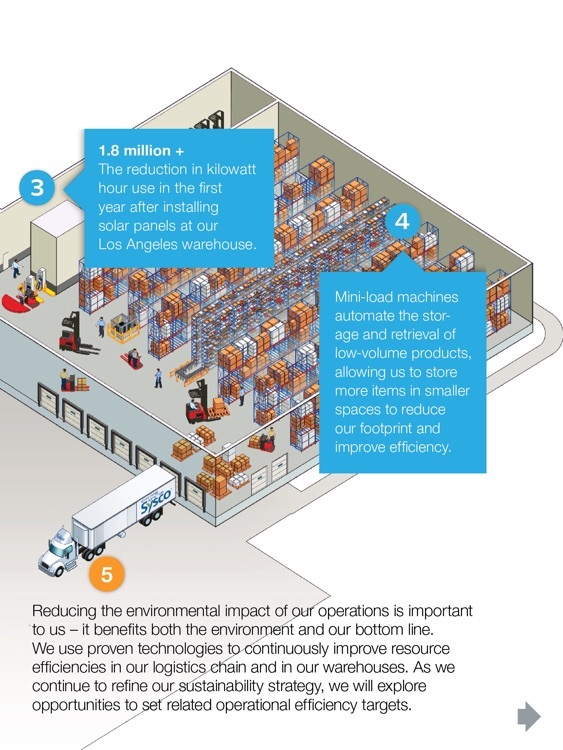 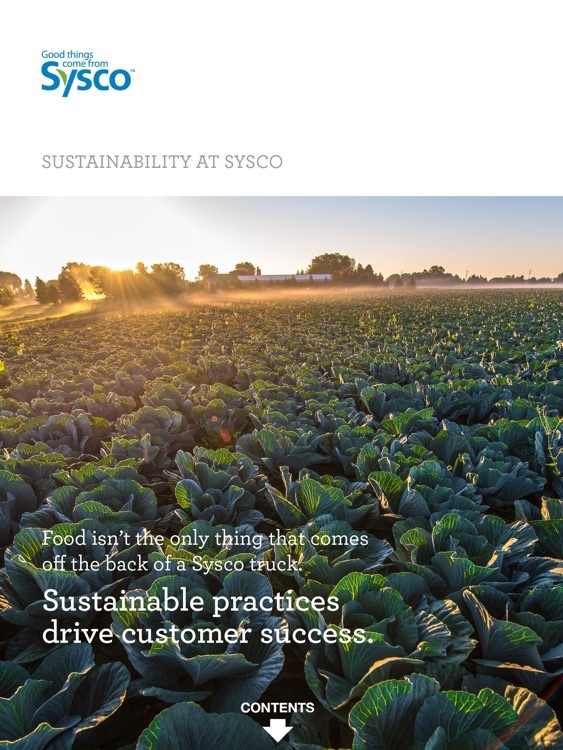 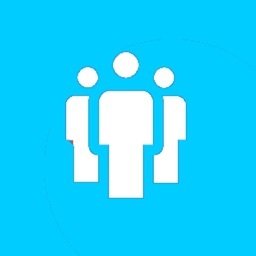 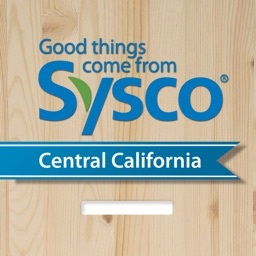 To learn more about Sysco’s sustainability program, download our FREE Sustainability app.